5. R.R. Bill & Co. 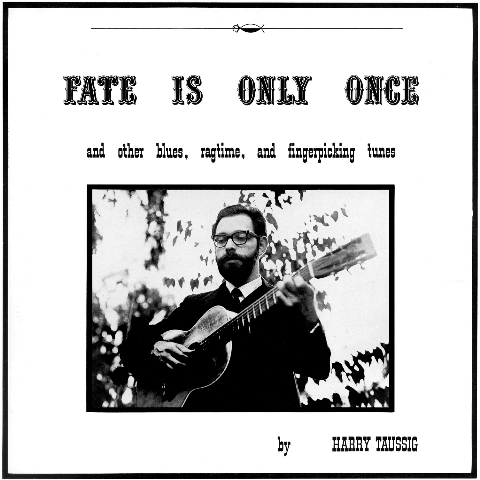 Released as a short-run private press LP in 1965, Fate Is Only Once has long been a coveted collectible among American Primitive guitar enthusiasts. The only other recorded work by Taussig surfaced on the out-of-print Takoma LP Contemporary Guitar Spring '67 alongside John Fahey, Robbie Basho, Max Ochs and Bukka White. "Dorian Sonata" was recently featured on the acclaimed acoustic guitar compilation Imaginational Anthem Vol. 1, and now the album is here, with original liner notes and vintage photos.